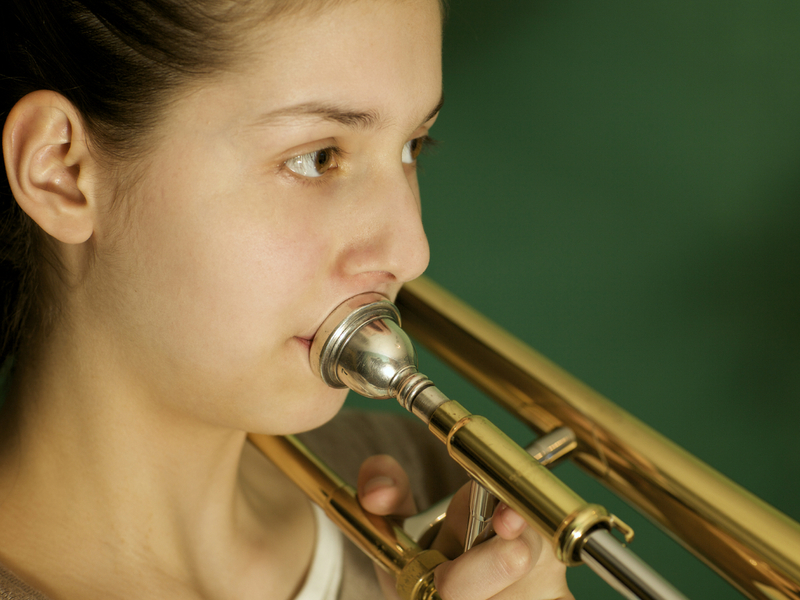 10 Easy Ways To Optimize Your Music Practice : Deceptive Cadence Spruce up the woodshed: with the new school year upon us, here are some easy ways to help you maximize music practice time — regardless of how old you are or what level of playing you've achieved. To kick off the new school year, we have 10 ways to make practicing more effective and a happier experience. Last summer, we published a week-long series called "The Young Person's Guide to Making Music" in collaboration with our colleagues at the radio program From The Top. The idea was to provide guidance and suggestions for parents and kids just starting out in music, with ideas for everything from finding a great teacher to reducing audition anxiety. The piece in that series that struck the biggest chord (har, har) was titled "Getting Kids to Practice Music — Without Tears Or Tantrums"; it's been one of our most popular posts all year. And we promised ourselves that we'd circle back to the topic of how to practice effectively around the time of a new school year. But these tips are effective for anyone who plays an instrument or sings. Find somewhere quiet. This seems too obvious for words, but not only will you be far less likely to succumb to all sorts of distractions, but entering a special practice area, whether it's a certain room or just a corner of the living room, will help prepare you mentally for this very particular kind of work. Mindful intention is everything, and having the ritual of going to the same place every time can help set that intention. Have your supplies nearby. I really love cellist David Finckel's "Cello Talks" 100-video series on YouTube; you don't have to play cello to get a lot out of many of them. Some of what he covers seems like impossibly basic advice — as in the discussion (below) of his practice space. Part of his advice is to keep a pencil sharpener and a very clean eraser within arm's reach, along with a pencil to mark up your music. Simple, right? But those little things are easy to forget, and if you have to go searching for them, add up to a big waste of time. Technology can be an amazing aid — as long as you don't spend too much time futzing with it. Three free or low-cost apps I have on my phone and iPad: a metronome, a tuner and a timer, which are all essential tools for practicing. And I always have my phone with me (see above). Begin with the end in mind: Have a goal for each practice session before you start playing. Just playing through your music isn't the same thing as practicing. Before you start, think: What do I want to accomplish today? If you're not sure what you need to focus on, ask your teacher for a few concrete goals to work toward before the next lesson — and write them down so that you can refer to them during your practice sessions. Map a practice session out like a workout. Lots of musicians start with a few actual stretches and breathing exercises before they pick up their instruments. Even if you don't go quite that far, a pretty common scenario is to start with scales as a warm-up, to loosen up your muscles and get your brain thinking about technique; move on to the "working" part where you analyze and try to solve problems; then cool down by improvising or revisiting some music you already know well. Practice smarter, not necessarily longer. You'll probably accomplish a whole lot more in a short amount of time if you have a very focused objective — and science tells us that we have a limited amount of willpower to draw upon anyway. So make the most of the time you have. Say you are having trouble with two very tricky measures. Set your timer for a short period (like five or 10 minutes), and then work just on one problem in as many ways as you can — break it down into even smaller and more manageable bits, go super slow, try to play the passage backwards, change the rhythm, whatever. If that trouble spot is still giving you agita, then make yourself a mental note to come back to that section again tomorrow. Chances are it will be much, much easier the next time around. Challenge yourself — physically. Especially if you're trying to wrestle down an element that you find problematic, scientific researchers say that if you add a physical challenge to the difficult task, such as trying to play that part while standing on one leg or while walking, your brain is likely to start carving out new neural pathways — and the original task will be easier when you return to just doing that. Practice away from your instrument. Many musicians use visualization in the same way that athletes do: They run through their music without touching their instruments. Try bringing your music along with you (either on paper or a mobile device) when you know you'll have some downtime, such as during a car or train ride, and read through the piece silently. Reward hard work — in positive ways — to help your brain automate good habits. That sounds like out-and-out bribery, but again, science! Finding something that your brain likes helps it remember the "habit loop," writes Charles Duhigg, author of The Power of Habit. Have other suggestions to help maximize your music practice? Let us know in the comments section, or reach out to us on Twitter @nprclassical or on Facebook at NPR Classical.